Sticking to a diet can be difficult at the best of times, and when you’re facing another evening of boring health food, it can seem impossible. But it needn’t be that way; tasty low calorie sauces can change the way you think about dieting forever. Supermarket shelves are packed full of tasty sauces, but this taste is often compromised by the high calorie content of the sauce. And, as a result, many diets suggest that sauces are the last thing you should look to introduce into your meals. 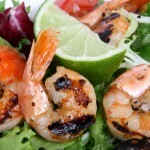 Instead, these diets recommend sticking to plain foods such as lean chicken, fish and vegetables. Whilst this type of diet is well proven to help you lose weight, it’s a diet which is difficult to stick to due to the monotony of plain foods. Our taste buds want a little bit of excitement during meal time, so we need to satisfy them. Remember, though, that we need to keep calories down, so what’s the answer? Thankfully, low calorie sauces serve up the opportunity to not only maximize taste, but also help you keep those pesky calories at bay. And, by learning to cook a few different recipes with these sauces, you could find the key to not only enjoying a tasty meal, but also sticking to your diet. 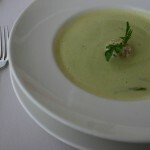 The beauty of low calorie sauces is the variety on offer; you can find countless different examples for sale in grocery stores which are ready to go, but, in order to bring another dimension of enjoyment to your cooking, you can also create low calorie sauces from an endless amount of recipes. At just 3 calories per tablespoon, apple cider vinegar can make a huge difference to your meals and your waistline. Best used to bring an intriguing and moreish level of tang to your salads, apple cider vinegar can really help you turn a healthy, but bland meal into an exciting one you reach for time and time again. Nothing livens up a meal quite like the sensory delights on offer from hot sauce. Chilli peppers may not be to everyone’s taste, but when it comes to turning a plain chicken breast into a taste sensation there’s nothing better. Even better yet, all this flavor only costs 5 calories per tablespoon, so it’s a low calorie sauce you can rely on to keep your diet on track. Everyone loves a dash of ketchup to bring a sweet, fruity goodness to their meals, but, ordinarily, ketchup is one of dieting’s worst enemies. And this is due to the huge amount of sugar which is packed into a ketchup bottle. However, food manufacturers have noticed that the demand for ketchup is so huge that a reduced sugar option is required, so there’s now an excuse for reaching for that that bottle of red sauce. 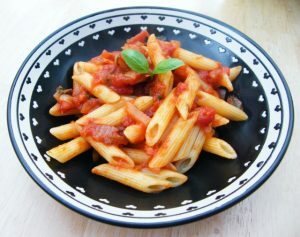 One of the most important sauces in Italian cooking, tomato sauce is a staple of bringing not only a portion of vegetables into your diet, but also plenty of flavor. This flavor, however, can easily be brought to your plate with a minimum of calories as this recipe shows. And all it takes is a handful of healthy ingredients. Alfredo sauce is a highly popular pasta sauce due to its indulgent properties, but it’s also exceptionally high in calories. Help is at hand, though, to recreate the velvety goodness of an alfredo sauce in the form of this creamy cauliflower recipe which will leave you licking your lips, but never feeling guilty for cheating on your diet. 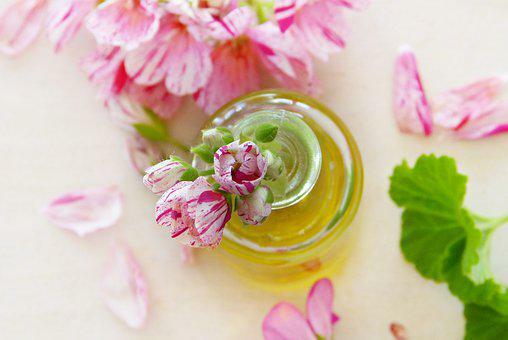 There’s nothing quite like an Italian salad dressing to bring an air of Mediterranean style to your salads, but the olive oil involved can really increase the calories on offer. However, by substituting some of the oil for water, you can seriously reduce the calories and keep you on the right side of slim. This wonderful vinaigrette combines a nice dose of heat from jalapeno peppers with the addition of orange marmalade delivering a sweet, fruity taste. And, best of all, at just 17 calories per serving it’s hard to argue that it’s anything but a low calorie sauce, so this recipe is a fantastic choice to integrate into meals. Fish dishes can really be transformed when there’s a dollop of tartar sauce to deliver a satisfying tang to a serving of fish. Usually, though, tartar sauce is made from high fat mayonnaise and is packed full of calories. This alternative recipe avoids the calories, however, by utilizing fat free mayonnaise and yoghurt. 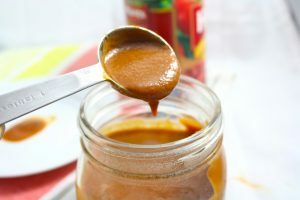 Barbecue sauce is one of the most versatile sauces you’ll find in kitchen cupboards, but the high sugar content means that it’s also a calorie dense sauce. Nonetheless, you can still enjoy that unmistakable barbecue taste with a significant decrease in calories by following this low calorie sauce recipe. Deliver extra taste to healthy, but bland meals – You’ve no doubt heard that a good diet is one which focuses on including plenty of lean meats and vegetables. The science definitely points toward this being sensible, but this approach to food is incredibly boring! And when people get bored they fail to stick to their diet. Low calorie sauces, however, bring extra taste to these meals and help you keep on track with your diet. Keep you fuller for longer – Sauces are a fantastic way to increase your volume intake and this helps to keep you fuller for longer and reduce any hunger pangs. 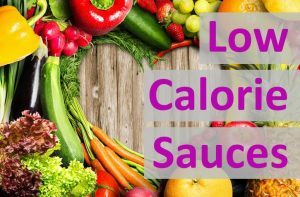 Sure, you could simply eat more food, but low calorie sauces have the added bonus that they’re not going to pile on the pounds and render your diet redundant. This is particularly important when you’re on a fasting diet. 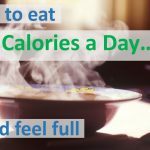 See also our post on how to eat 500 calories a day and feel full. Helps to maximize your metabolism – Spices contain next to nothing in terms of calories, so they’re always an attractive ingredient for adding flavor. And, better yet, spices have been shown to have a powerful impact on speeding up your metabolism and this, in turn, facilitates even more weight loss. 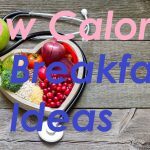 Speed up Meal Preparation – We seem to have less and less spare time these days, but a major benefit of low calorie sauces is that you can cook them in bulk and then freeze batches of them. Having this useful stock of sauces in the freezer means that you can cut your meal preparation times by an incredible amount. And, let’s face it, after a day’s work you’re more likely to eat an easy to cook meal than a complicated one. As you’re now aware, low calorie sauces can make a real difference to your diet in terms of taste and calories. However, if you’re not cooking meals yourself or if you’re eating at a restaurant, you’re not always going to be in control of the ingredients going into your foods. Tomato / BBQ sauces are highly popular condiments – especially with fast food – and this is due to their sweet, finger licking goodness. All this flavor, of course, comes from the vast amounts of sugar packed into these sauces which, in turn, ramps up the calorie count. Cheese based sauces bring a delicious and indulgent savory flavor to practically anything be it meat, vegetables or fish. Unfortunately, for your calorie intake, these sauces are exceptionally high in fats and mean that your calorie count can become astronomic after just one meal. Much like cheese sauces, creamy sauces are very popular due to the luxurious texture and taste they add to any meal, but they’re also very high calorie sauces due to the huge amount of fats contained within them. If you’re looking to achieve success with a 500 or 800 calorie diet, sauces could really help you out. These recipes make an excellent addition to your 500 calorie meal plan. 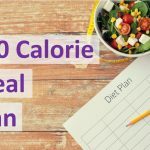 Sticking to a diet can be one of the most difficult aspects of healthy living and weight loss, so anything that can make this easier is a huge help. Healthy eating, of course, is affordable and more than possible, but where people struggle is with the repetitive consumption of bland meals. And this is why people start diets with all the best intentions in the world, but can only stick to them for a few days before collapsing into a feast of flavors and calories. 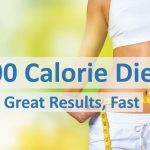 However, if you’re willing to put the time into researching low calorie sauces and their vast benefits, you’ll discover that you can reduce your calorie intake and retain all the flavors which make food worth eating. 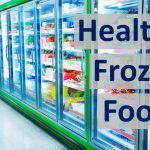 Healthy Frozen Foods – A dieter’s best friend? « Healthy Frozen Foods – A dieter’s best friend?